Get the inside scoop on what venture capitalists want to see in your startup as you hit the fundraising trail. This is the highly anticipated third edition of the best-selling book which has become the definitive resource for understanding venture capital fundraising. Whether you are an entrepreneur, lawyer, student or just have an interest in the venture capital ecosystem, Venture Deals is for you. The book dives deeply into how deals are constructed, why certain terms matter (and others don’t), and more importantly, what motivates venture capitalists to propose certain outcomes. You’ll see the process of negotiating from the eyes of two seasoned venture capitalists who have over 40 years of investing experience as VCs, LPs, angels, and founders. They will teach you how to develop a fundraising strategy that will be a win for all parties involved. This book is designed to bring transparency to the venture capital funding process and includes such topics as: How to raise money; What terms matter and which ones don’t; How to negotiate a fair deal for everyone; What makes venture capitalists tick, including how they are compensated and motivated; How companies are valued by venture capitalists; How all current structures of funding work, including convertible debt, crowdfunding, pre-sales and other non-traditional methods; How these particular issues change through different stages of financing (seed, early, mid and late); and How to avoid business and legal pitfalls that many entrepreneurs make. And as in the previous editions, this book isn’t just a one-sided opinion from venture capitalists, but also has helpful commentary throughout from a veteran CEO who has raised many rounds of financing from many different investors. 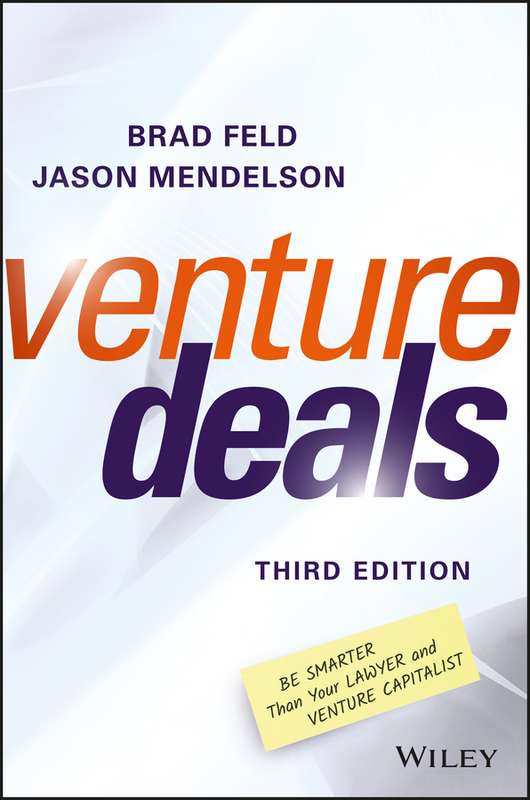 If you are ready to learn all the secrets and ins and outs of fundraising, Venture Deals is an essential read.